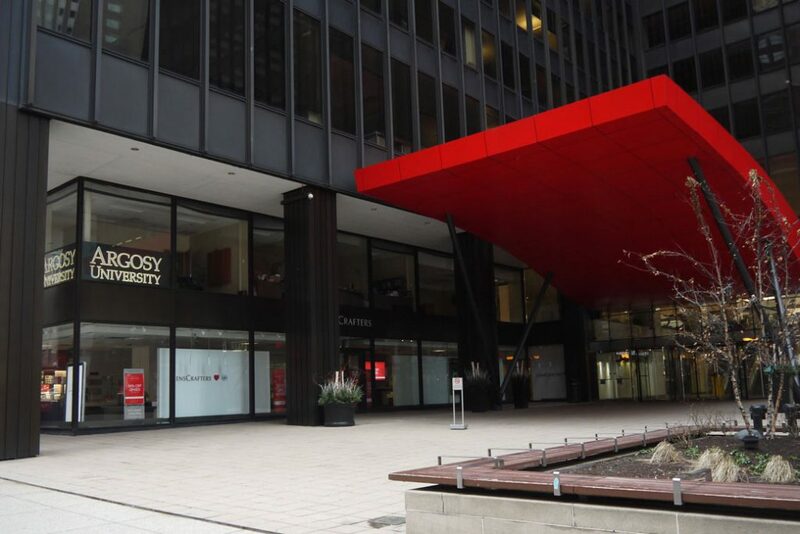 Last week, students attending several Argosy University campuses across the country received a nasty shock: Their campuses would be shutting down in 48 hours. The move leaves thousands of students in the lurch with unclear futures and millions of dollars in missing federal financial aid that the school received from the federal government but failed to disburse to students. These closures have two things in common: They involve schools that were at one point private, for-profit colleges, and the executives running the schools have paid no price for suddenly deserting students. In fact, these closures often come after institutions, and the people that own and run them, have profited from millions of dollars—in some cases, billions of dollars—in federal financial aid. Corinthian Colleges received about $1.4 billion in federal aid annually in its final years of operation, while the ECA took in a quarter-billion dollars in the 2017-18 school year alone. Even the much smaller Vatterott received nearly $59 million last year alone, according to U.S. Department of Education data. Kevin Mondany, the former head of ITT Technical Institute, made as much as $3 million per year, as did Jack Massimino at Corinthian. This must change. Any executive from a college that closes precipitously should be financially liable for damage done to students and taxpayers. The U.S. Department of Education should take back money paid to school executives in salary or bonuses and instead use it to cover the cost of loan forgiveness and refund tuition paid by students who can’t otherwise get their money back. This should be the first step to a broader rethinking of the financial structures and requirements around these schools, including deferred compensation requirements for executives. Putting executives on the hook for sudden closures is obviously a departure from prior expectations of the consequences that business owners should face in such an event—but for-profit colleges are not normal private businesses. Their existence depends upon federal money, and taxpayer dollars make up the overwhelming majority of their revenue. Thus, when a school suddenly closes, taxpayers face significant costs in the form of discharging student loans that the government rightly forgives as well as the millions or billions of dollars spent on credits that do not transfer or lead to a credential. These represent much greater public consequences than would be involved in the event of a normal private business going under. These abrupt closures are also extremely disruptive. Students are left with uncertain financial futures, often after spending large sums of money, using up their financial aid, taking on debt, and spending time they cannot recoup. They must navigate a complex process to get their loans discharged. They may have to sort out credit transfer options in time for the start of the next academic term at another school or may be forced to put their education on hold. By contrast, an orderly closure gives students weeks or months to sort out their options and means that the college stops recruiting and enrolling new students, so no student finds the doors shuttered just days after they enroll. Just saying that a closing school is financially liable to students and taxpayers is not enough. By the time a school is in dire financial trouble, there’s never any money left for students and taxpayers; it’s been used to pay off investors, creditors, or executives. For example, ITT Tech closed because the Education Department asked it to provide a letter of credit equal to 20 percent of the federal aid it received due to concerns about its stability, and the company couldn’t come up with the money. This scenario inevitably leaves students and taxpayers to fight with other creditors over assets worth a tiny fraction of what the college owes—and that money is often coming from scraps such as the worth of facilities and even furniture. The ECA and Vatterott closures are both examples of for-profit schools’ tendency to blow past major signs of financial struggle for months before their abrupt ends. The ECA sued the Department of Education to keep federal aid flowing. Vatterott had sought an alternative to bankruptcy with the state of Missouri as far back as 2017, as had Argosy in January 2019. Had those schools’ leaders known that they would pay the price for a sudden closure, they would have been more likely to use these warning signs as a signal to start closing. Holding school leaders liable for closure costs to students and taxpayers would create incentives for them to be more cautious in daily operations and more methodical in closing. Currently, the safest, most lucrative course of action for schools is to grow big fast; doing so generates profit and helps fuel further expansion with minimal risk. Even if things go south, the leadership can shut down the school and make off with any gains. If financial consequences for such behavior were put in place for leaders, they would be less willing to keep recruiting and enrolling new students when the school is no longer financially viable. Ideally, they would take steps to avoid reaching that point in the first place. There’s one easy way to institute such liability: Every college that receives federal financial aid currently must sign a program participation agreement—a U.S. Department of Education document in which the members of institutional leadership indicate that they will follow the rules for administering federal aid. These should be updated to include a provision for leaders’ financial liability in the event of at least two circumstances: any closure that takes place before the end of a term, and/or a school’s failure to notify students of an impending closure at the end of a given term before that last term begins. The amount of financial liability should also include a multiplier for each new student enrolled during that final term. Addressing these abrupt closures should also involve putting an end to calls for erasing key policy distinctions between for-profit and nonprofit or public colleges. For-profit and nonprofit institutions must be held to different standards when federal aid is at play. Even if there are similarities in how for-profit and nonprofit institutions conduct classes, traditional nonprofit colleges rarely close abruptly and leave students stranded. Consider the most egregious closure of a nonprofit school in recent years—Mount Ida. The Massachusetts school announced on April 6, 2018, that it would be closing May 17, the end of its term. That’s a shocking announcement that should also be prevented. But none of the tens of thousands of students at the for-profit colleges that abruptly closed got anything close to that notice. Holding leaders liable should be the start of a broader conversation about increasing financial oversight of for-profit schools. Too often, the Education Department has little to no letter of credit or other form of financial protection from which to draw when an institution starts to teeter, leaving the cost of closure on taxpayers. More must be done upfront to ensure that these schools have the financial resources to operate at the size they do and are less dependent on federal money. This April will mark four years since more than two dozen Corinthian College campuses suddenly shuttered their doors. Since then, tens of thousands more students at for-profit colleges have been harmed in the same fashion, and nothing has changed. Enough is enough: School leaders who leave students in the lurch must start paying up. Ben Miller is the vice president for Postsecondary Education at the Center for American Progress.